On this weeks episode, we talk about the new Amazon Key, follow up on Project Loon, rover upgrades, Beard’s TwitchCon trip, some #AskError & more! + (00:00:40) – Amazon looks for a better way to avoid package theft. + (00:13:50) – Google actually deploys balloons above Puerto Rico. 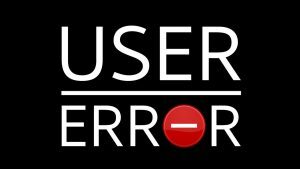 + (00:16:06) – #AskError: What gets weirder the more you think about it? + (00:19:41) – #AskError: What tech are you most excited about seeing before you die? + (00:33:23) – The Beard goes to TwitchCon. Murphy’s Law works overtime. + (00:48:40) – Rover P-P-P-P-POWER! + (00:55:25) – Happy Barf-o-ween!